Love the pop you get when you wear red and white! 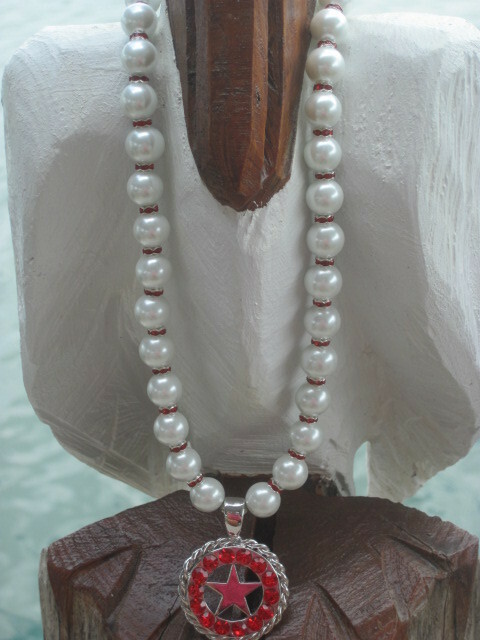 White glass pearls accented with red rhinestone rondelle spacers and then your polished silver tone pendant accented with red rhinestones that circle a star. The necklace measures approx. 20” and is secured with a polished hammered look base metal toggle.